Is There a Better Way to Use Your Credit Card? Douglas Goldstein, CFP®, a financial advisor who helps Americans living in Israel manage their investments, discusses the benefits and risks of using a credit card with Jason Steele, an expert in the credit card industry. Find out how credit cards really work, and who benefits from your credit card purchases. Can consumers benefit from points and reward schemes without falling into debt? Will the Trump Administration cause the markets to crash? Now that President Trump is Commander in Chief, we can expect many changes to government policies and taxation. Douglas Goldstein, CFP®, explores the differences between fiscal and monetary policy and assesses possible changes to the U.S. economy. Follow Jason Steele at www.jasonsteele.com and on Twitter at: @SteeleStreet. Watch Is There a Better Way to Use Your Credit Card? on YouTube. 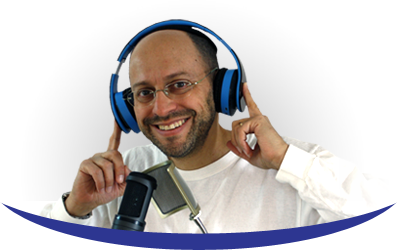 Journalist and credit card expert Jason Steele tackles the topic of using credit cards. What’s the best way to manage your credit card, and how can you make the best of credit card points and rewards? Douglas Goldstein: I'm very excited to be talking with Jason Steele. He's a journalist who specializes in covering credit cards award travel. Jason, I want to talk about the issue of credit cards because a lot of people make a big deal out of them. There are people who are very pro-credit card and others who aren’t for them. Where do you stand in this debate? Are Credit Cards The Worst Things Since Unsliced Bread? Jason Steele: Credit cards are a powerful tool. Like any powerful tool, they can do great things if they are in the hands of someone who knows how to use them safely. If misused, a lot of damage can occur. For the majority of credit card users out there, if they can control their debt or better yet, don't have any debt, avoid interest and pay their credit card off every month, they can earn rewards. They can utilize the benefits of their credit card that are given to all credit card holders and enjoy a very secure and convenient method of payment, all at the same time. Douglas Goldstein: That sounds like a little bit of an advertisement for the credit card industry. I've always felt like people spend more time on the rewards and points than they should. You can just go out and work for another hour and earn more money, and not have to deal with all that. Do you feel there's a lot of value in this, or is it like getting a free toaster for opening a bank account? What’s The Value in Using Credit Cards? Jason Steele: No, I think there's a lot of value. I certainly don't want to sound like I'm advertising for the credit card industry. I'll be the first to say that a lot of people shouldn't be using credit cards. Let me use this analogy: my wife shouldn't be using power tools because she might drill holes in the wall. My wife and I, and our three kids were in Israel back in December and the five of us flew, round trip, entirely with our credit card rewards. I have some friends who will spend the afternoon clipping coupons for 50 cents off of peanut butter and a dollar, off of soda. I don't do that. I focus on my credit card rewards, earn as many rewards as possible, and use them for very high value redemptions. For me, that's business class travel, overseas to visit family in Israel or to take a vacation in Hawaii last year. 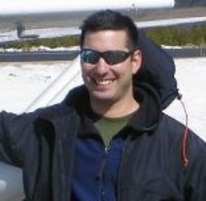 Douglas Goldstein: I fly a lot too, actually. I probably fly six to eight times a year between Israel and the U.S. and I don't seem to get great treatment for anything. What's the trick? How do you get all this good stuff or are you just flying a lot more than I am? Jason Steele: I am flying a lot more than you are, and I buy as much as I can on my credit card. There are a few problems here. First of all, I like to tell people that the hardest way to collect points and miles, or the hardest way to collect frequent fly miles, is to step on an airplane. Actually, flying is becoming less and less rewarding, unless you're lucky enough to have an employer who's going to spring for expensive last minute tickets or flights in business class. Just buying a discounted ticket in coach is not going to give you that many miles anymore. The other problem - and I see this with my friends and family in other countries - in Israel as well, is if you're fortunate enough to have an American credit card, you're doing really well. In America, the points and miles are handed out very generously in this very competitive credit card industry. They make money off the merchant fees. Douglas Goldstein: Please explain what that means because I don't think a lot of people understand. Jason Steele: Sure. When I go to the store here in the United States, let's say I buy something for $100. The credit card itself is going to take maybe 2% or 3% percent of the $100 that I'm being charged as a merchant fee or a processor fee. It's going to go to the card issuer, probably Visa or MasterCard, and the store will only receive 97-98% of that. That 2% or 3% of course adds up tremendously over the course of the entire economy and it funds a good portion of the credit card industry. Obviously, interest charges do as well, but people like myself who don't pay interest charges still are very profitable for the credit card industry. The credit card industry will then go to great lengths to attract and retain customers. Some of those great lengths are offering points and miles for every dollar spent. In the United States, the credit card might earn one, two, three, four, even five points or miles per dollar spent. In other countries, that can sometimes be one mile per $1 spent or one mile per $10 spent. Douglas Goldstein: So it depends on the country. It seems like it just depends what the competition is or where the market is for credit cards. Jason Steele: Exactly. The market for credit cards in the United States is very profitable, largely in part to these merchant fees, which are quite controversial. The merchants certainly don't enjoy them, but those fees essentially trickle down. Because each customer is very profitable, they can award miles and points for each purchase and they can award generous signup bonuses when we apply for a new credit card. Douglas Goldstein: One of the arguments or discussions that we have, from time to time, is we have the pro-credit card people and the anti-credit card people. Those of us in the anti-side seem to think that it's a myth that you need to use your card to build up your credit score. You have to have a fantastic credit score in order to get a good loan for your house or a good job or a good car rental. Isn’t this just a lot of fluff? Jason Steele: You mentioned getting a good rate for your loans and that is very important. I have a very low interest rate on the mortgage for my house. That's due, in large part, to having a very high credit rating. One of the ways you can achieve that is by having two or three credit cards, keeping very little debt and paying your bills on time. That doesn't mean you have to use your credit cards for every purchase you make, though. You mentioned a job. There are some jobs that will look at your credit report as part of their pre-employment background screening, and that is not the same as your credit score. They're looking for things like bankruptcies and unpaid bills and things like that. Certainly, they probably figure that if you can’t handle your own money very well, that you might not be responsible with their money. Some states do that a lot of that and some don't. You mentioned car rentals, you might mean car insurance. Certainly home and car insurance rates do get set, at least here in the United States, in part, based on your credit score. Douglas Goldstein: Let’s get hypothetical a little bit. I go rent a car. I see that there’s some sort of insurance on the credit card so I don’t have to buy the insurance from the car company. I then remember that if something was to happen to my car, it would take me months to claim on that insurance from my credit card. I may as well just pay the extra 50 bucks to the car rental company and let them give me full insurance. That makes sense doesn’t it? Credit Card Insurance Versus Car Rental Insurance? Jason Steele: As far as I’m concerned, that's one of the better benefits that you're offered on your credit. If you really do the math, and I have, the cost of insurance per day of a rental is sometimes $15 or $20. It’s like $4,000 or $5,000 a year in car insurance, which is of course several times what you would normally pay. I don't think that the car rental insurance being sold by the car rental companies is a good value. It's vastly overpriced, in my opinion. If you can get it for free with your credit card, that's a great deal, and nearly all credit cards have this. My wife once got an accident in a rental car. When we put the claim into our rental car insurance, it wasn’t that much of a hassle. I'll prefer to have my insurance for free rather than pay $15 or $20 a day additional. Douglas Goldstein: Free is always a good price. I think you have to balance the freeness of something versus the amount of effort it takes you to get whatever it is that they are giving you. One of the things that I see a lot of people using, and even for my kids sometimes when they travel, is we'll pick up a prepaid credit card. What is that really and does that have anything to do with your credit score? Jason Steele: Actually a prepaid credit card is not what it is. It's a prepaid debit card. That does not affect your credit or your credit score in any way. They are becoming very popular because it's not a loan, you can't be in debt. You have to prepay and some people consider it a very safe way to have the convenience and the security without any risk of debt. But with these debit cards, you won't get things like automobile rental insurance. That's maybe not an issue for them. You won't earn rewards and you won't build your credit history. It's kind of neutral in the whole world of credit. It doesn't have the extent of protections that a credit card has in terms of being able to say, charge back goods or services that you never received. Douglas Goldstein: Let's talk about someone who is a little bit irresponsible in handling his money. He tends to run up a bill every month and doesn't pay the full credit card bill every month. Sometimes he pays the minimum. Do you have any idea what percentage of people only pay the minimum, or how much credit card debt people on average carry? Jason Steele: I've looked in many places for the most accurate statistics I could find on this. About 50% of American credit card holders tend to carry a balance either at some part of the year or throughout the year. 50% of us are avoiding interest by paying our bills in full every month and another 50% are not. They are incurring interest on their credit cards. Of them, I don't know the exact percentage that are paying the minimum, but it is a significant number. Certainly if you're just paying the minimum, I would classify you in the group of people who probably should not be using a credit card. You're just using it in such a detrimental way, that you would be better off using a prepaid credit card, cash, or a check. Douglas Goldstein: It’s definitely not for everyone. 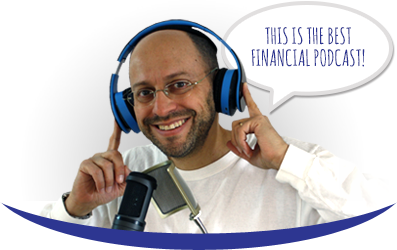 The thing is that the average person who listens to the average financial podcast is average. That means that half the people out there are carrying a credit card balance of some sort. I figure that all the other benefits that might come from having their credit card get lost. If you're paying 10% or 15% or 20% or 29% on a credit card debt, that adds up pretty quickly, yes? What to Do If You Have a Lot of Credit Card Debt? Jason Steele: I agree. If I am asked by friends or families or people who follow my articles, "What should I do with credit cards if I have all this debt?" my answer would be to stop using them. If you're in a hole, don't keep digging. Pay off your debt. Use a product like a prepaid card that avoids debt altogether. Also, get your personal finances in order and maybe at some point in the future, you could reconsider credit cards. I certainly don't advise credit card use for people who are carrying a balance and paying interest charges. It's expensive and it's not worth it. Douglas Goldstein: That’s great advice. Jason, you've given us a lot of great points. How can people find you and follow your work? Jason Steele: Certainly. My work is on many different personal finance websites and I have links to all of it on my own personal author site, which is jasonsteele.com. People can also find me on Twitter @steelestreet. Douglas Goldstein: Jason Steele, thanks so much for your time. Jason Steele: Thank you. I enjoyed it.